r and K, defined mathematically. Biologists classify organisms in many ways: their taxonomy, their ecological niche, their mating habits. One fascinating classification scheme is called the r/K continuum. Two fine scientists, Robert MacArthur and E.O. Wilson (1967), developed the concept, which was popularized in the following decades. It is a spectrum that sorts organisms by their relative investment in individual offspring. The r stands for the reproductive rate of an organism, K stands for the carrying capacity of an environment, and N is the population. dN/dt is the rate of population change. It is applicable to anything that reproduces: people, elephants, mice, plants, and microbes. 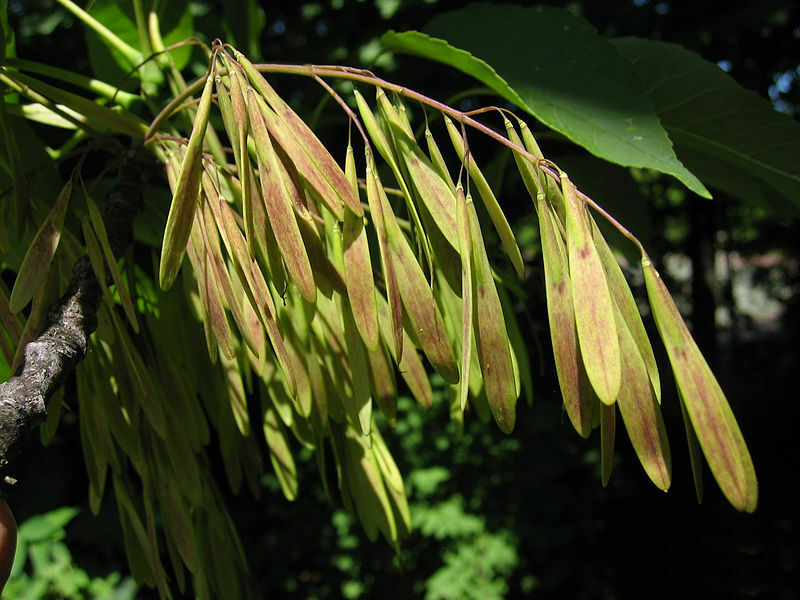 For illustration, let me start with a comparison: a mature ash tree might produce about 100kg of seeds each year, each kg having at least 20,000 seeds. A tree could have 150 such productive years. (150 x 20,000 x 100 = 300,000,000 seeds over the life of an ash tree). 300 million seeds for every ash tree! The world should be covered with ash trees by now. But it isn’t. The Ash tree abandons every last of its ‘young’ to the winds – literally. At least the walnut poisons the soil against its youngs’ competition… The ash tree invests its biomass in sheer numbers, ’waging’ that odds are in favor of just a few of those millions of seeds will recruit into adults. This is the r-type reproductive strategy. 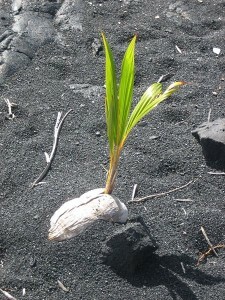 The Coconut produces far fewer seeds, but in comparison to the tree size, they are each a considerable investment for the plant. Seed balls. What we’re doing when we make a seed ball is bumping that plant – a poppy, say (they produce lots and lots of tiny seeds with little mass or energy investment from the parent), from way on the r side of the continuum, farther to the K side. We add a thick protective, husk, nutrient supply, and dispersal mechanism. We are making that poppy more like a coconut. Coconuts produce relatively few seeds, but those are large, well protected, and rich in the things that a seedling might need. The r/K Continuum is just another way to look at living things. To me, the satisfaction that I feel from nurturing the seeds as I roll them into seed balls is far more moving than what any equation spits out, but the fact that my effort can be quantified- at least in theory- is pretty cool! MacArthur, R.; Wilson, E.O. (1967). The Theory of Island Biogeography (2001 reprint ed.). Princeton University Press.